Miranda, Frances, Beki and Holly are here to help give you the inside track. 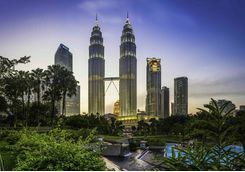 Immerse yourself into the culture of Asia on the streets of Singapore, Kuala Lumpur and Bangkok. 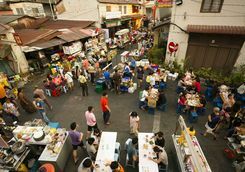 Check out bustling markets, ancient temples and sensational street food. 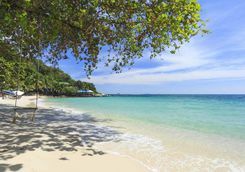 Travel on the Eastern & Orient Express train from Singapore to Bangkok and finally chill out on the paradise beaches of Koh Samet. 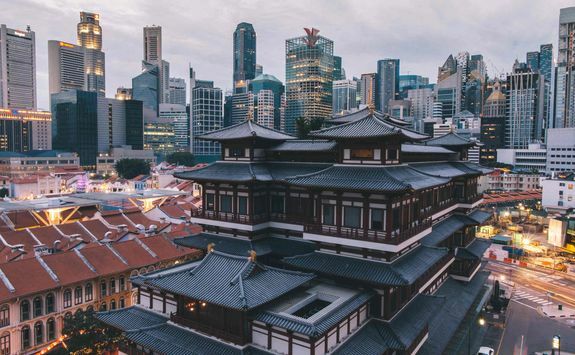 Your overnight flight to Singapore leaves London in the evening and takes around 13 hours, so plenty of time to sleep or catch up on those must-see box sets. 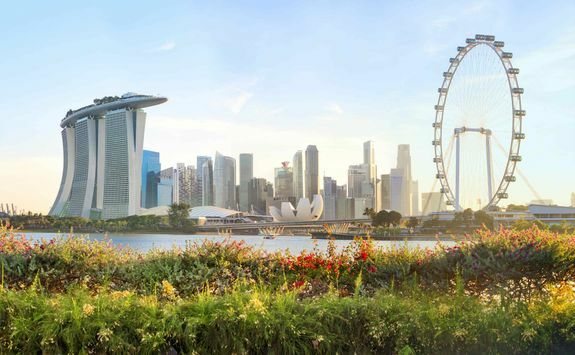 Step off the plane at Changi Airport into the welcome warmth of a Singapore afternoon. Your private driver will take you to your hotel we've chosen for your stay. 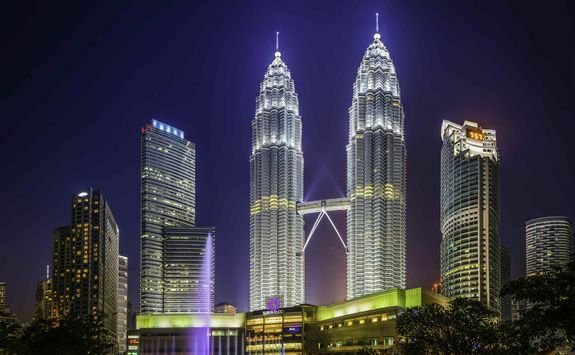 After check-in you can enjoy a relaxing evening at the hotel or choose from one of our recommended restaurants in the detailed Dossier we provide all our clients. 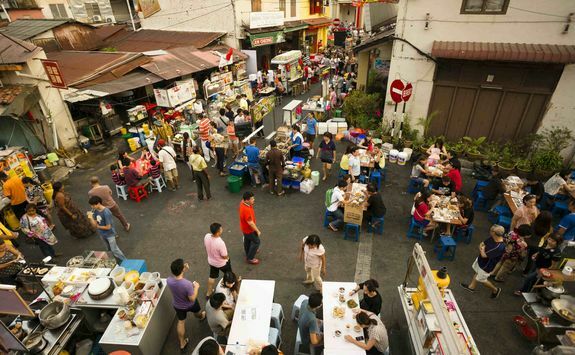 After a leisurely breakfast, your personal guide will be waiting to take you on a walking tour of Singapore. 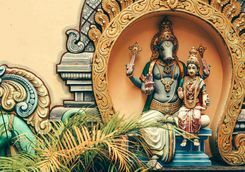 You'll sense the cultural fusion which makes Singapore so special as you stroll through streets where skyscrapers rub shoulders with Buddhist temples; lion-headed fish statues spout water fountains and rickshaws weave in and out of the traffic. 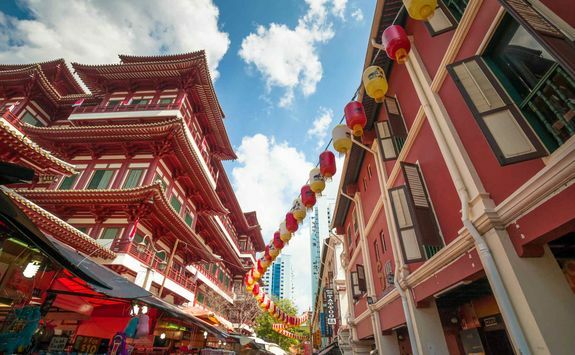 Experience the colourful hubbub of China Town's tiered pagodas and hanging lanterns. 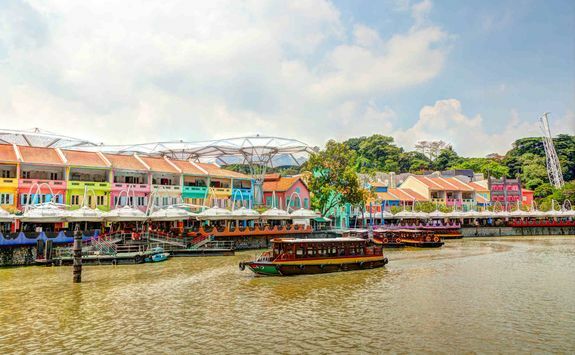 Stop off for a glass of ice cold Chinese tea, then sample some of the popular noodle dish kawy teow mee from one of the food stalls before taking a 40-minute boat ride from Clarke Quay along the Singapore River. 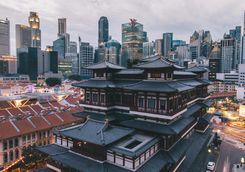 After a relaxed afternoon we suggest pre-dinner drinks at the rooftop Lantern Bar of the Fullerton Bay Hotel before dinner at the Michelin starred Corner House restaurant, where we've reserved a table for you. 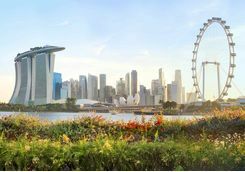 Awake your horticultural senses with a stroll through Gardens by the Bay or the Singapore Botanic Gardens. Private tours of either can be arranged. 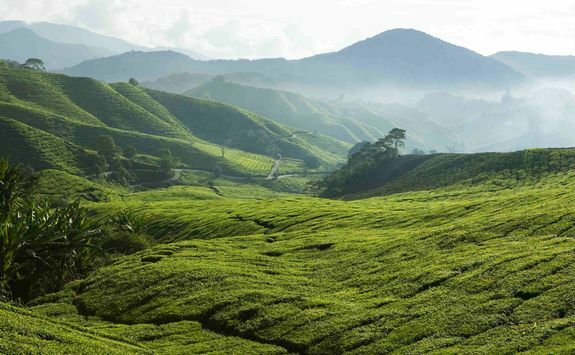 After breakfast, enjoy the Malaysian scenery on the three-and a half-hour drive from Singapore to Malacca via Johor Bharu. 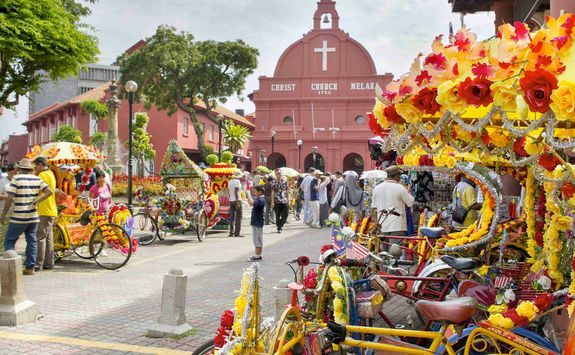 Settle in at your colonial-era hotel, then get ready to discover this historic city with your personal guide. 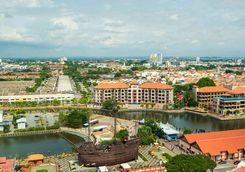 Take in the ruins of the Portuguese fort, A Famosa, five-hundred-year-old St Paul's church, monumental Stadthuys and the Tang Beng Swee clock tower. 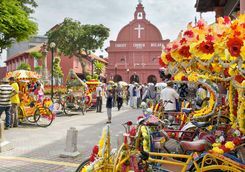 Taste the Chinese influence in Malacca with lunch in a restaurant specialising in Chiuchow region Chinese cuisine before the guide introduces you to Temple Street - an interestingly diverse area crammed, as the name would suggest, with temples dedicated to different deities. 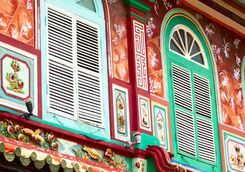 Explore the heritage of the Baba-Nyonya, descendants of the original Chinese immigrants and see 15th century Peranakan buildings before hitting Jonkers Street in China Town where the combination of food stalls, fashion boutiques, antique shops and cafes is buzzing with life. 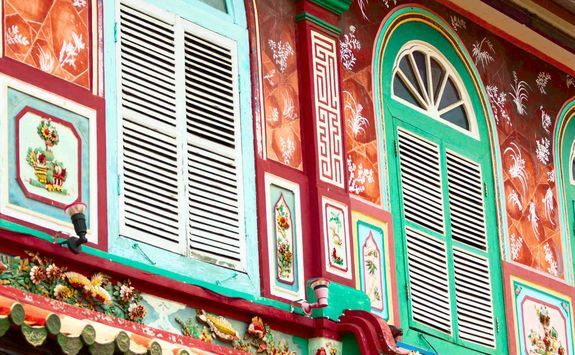 To enjoy your evening of relaxation, we recommend an authentic Baba-Nyonya-style dinner at the Restoran Peranakan. 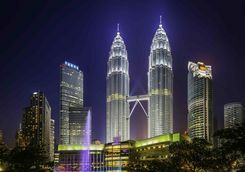 Enjoy breakfast at your hotel before being collected by your personal driver for the two-hour transfer to Kuala Lumpur. 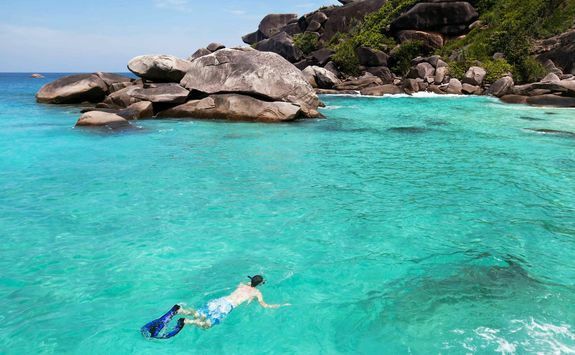 After check-in at the hotel, you'll have the rest of the day to spend as you please. 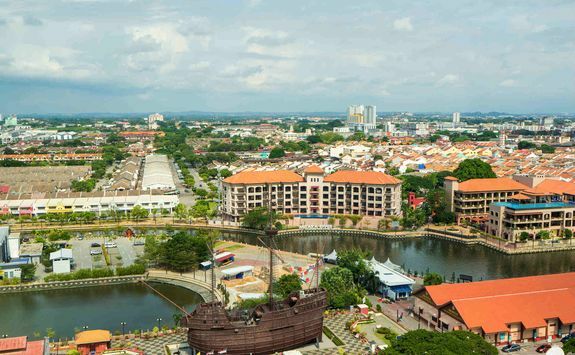 Our Detailed dossier is full of recommendations of what to do and where to eat. 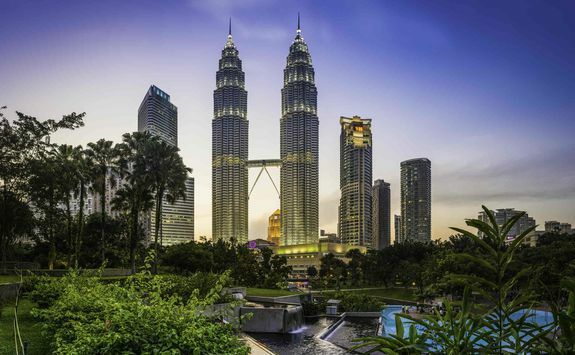 On today's walking tour, you'll discover the essence of Kuala Lumpur with your own personal guide. 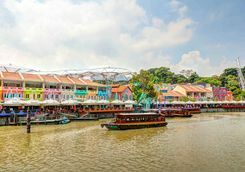 Setting off after breakfast, you'll take a short monorail ride to the hubbub of Chow Kit Market before continuing to the traditional village of Kampung Bahru. 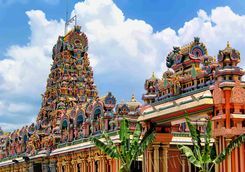 After a short break at a local cafe, you'll visit Kuala Lumpur's oldest mosque, Masjid Jamek, and the fascinating area known as Little India that surrounds it. 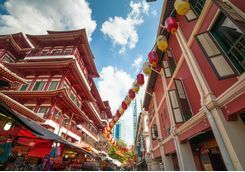 Before a lunch of traditional Baba Nyonya cuisine at the Old China Cafe, there's be time to take in the architectural splendour of Merdeka Square. 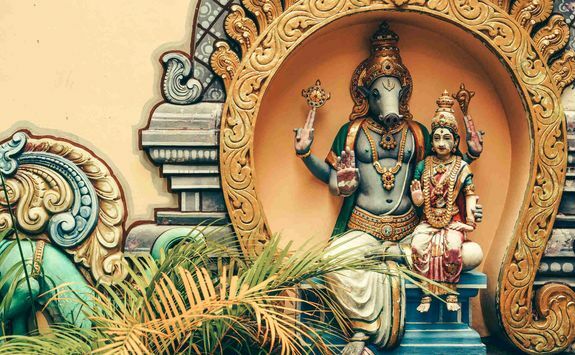 Sze Ya and Sri Maha Mariamman are your after-lunch destinations. 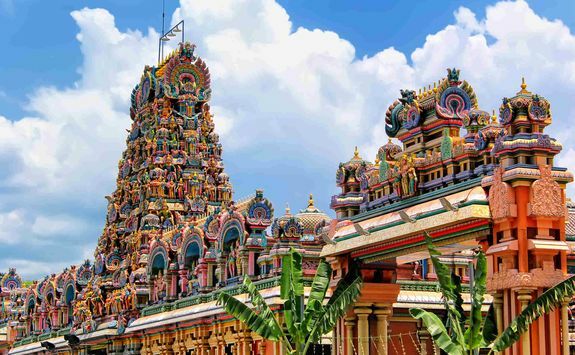 These elaborately decorated temples, dedicated to Taoist and Hindu deities, are the oldest houses of worship for their respective religions in Kuala Lumpur. 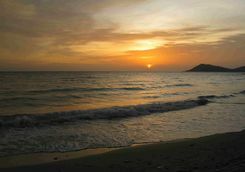 You'll return to the hotel in the afternoon, after which you'll be free to enjoy the rest of the day by the pool. 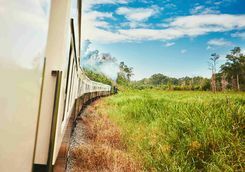 This morning you will be transferred to Salak South station where you'll board the Eastern & Orient Express train for the next leg of your adventure. 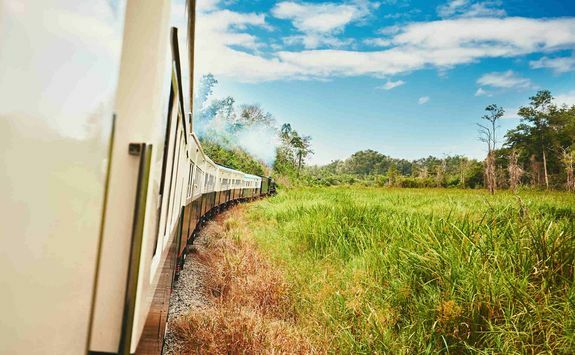 After you've settled into your delightfully deluxe cabin, you'll be able to sit back and watch a world of tea plantations and rural villages pass by as the train heads north towards Bangkok. 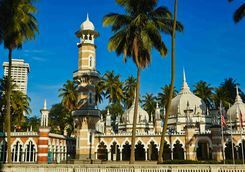 Stop at Kuala Kangsar where there will be a coach waiting to take you on a tour to the rural Malay village of Labu Kabong. 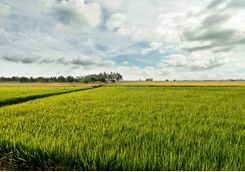 Enjoy a welcoming ceremony there, then set off to explore nearby rice fields and sample some of the local produce. 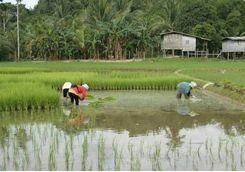 There will be an opportunity to join an expert naturalist for a short hill trek. 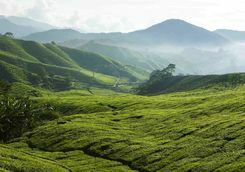 You'll need to have the correct footwear and some experience in hiking to be able to participate as it's not an easy climb, but well worth it for the resulting views. 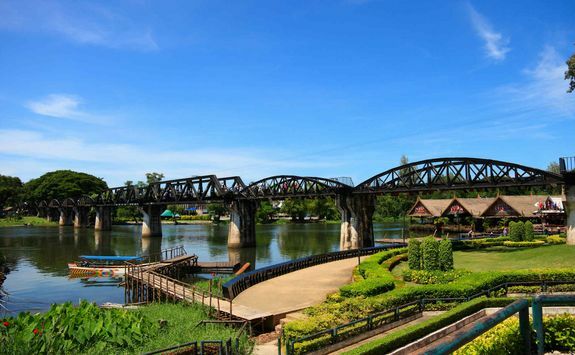 Re-board the train in the late afternoon and continue the journey to Bangkok. 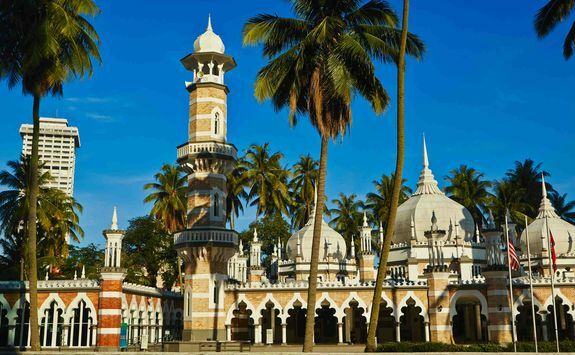 Enjoy a cocktail or mocktail while listening to live piano music before enjoying a delicious four course dinner prepared by international chefs and served in the elegant restaurant car. 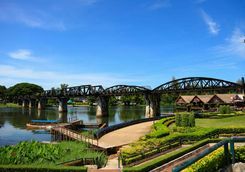 When the Easter & Orient Express pulls in at Kanchanaburi station, you'll be offered a great choice between three very different half-day excursions. 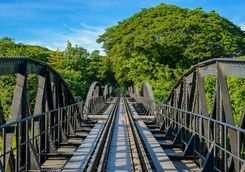 If you love history and are a bit of a film buff, you'll probably want to choose the Classic Tour. 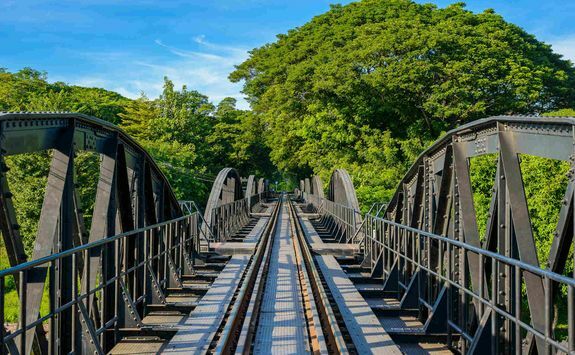 The guided tour includes the famous River Kwai Bridge and the Thai-Burma Railway Museum. 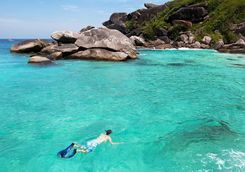 If you've got some pent-up energy you're wanting to expend, then try the Tracks to Unseen Thailand Tour. 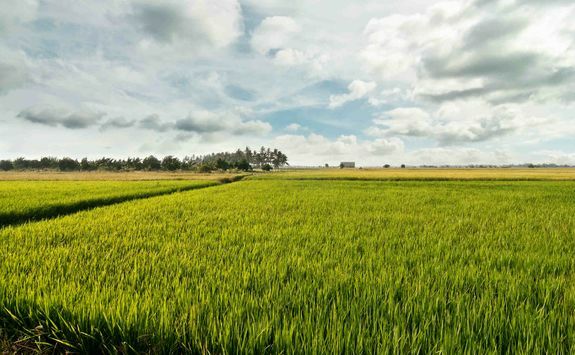 You'll cycle through the rice fields and pedal your way to a local farm. 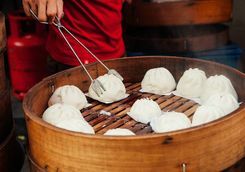 If you're a foodie and interested in the local cuisine, the Local Flavours Tour will be perfect for you. 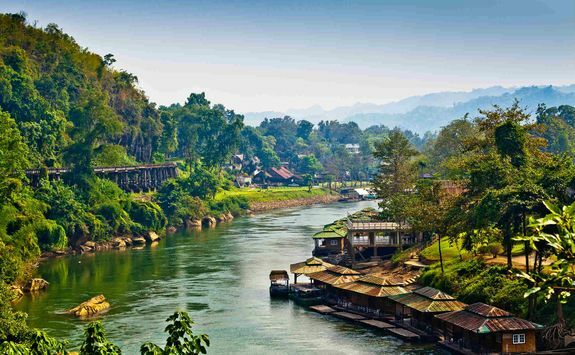 You'll visit a local produce market, a rice noodle house and then take a cooking class on-board a raft cruise. 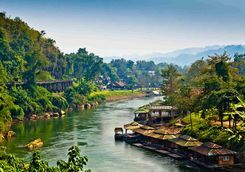 After lunch on-board the Easter & Orient Express, the train continues on its way to Bangkok where you'll arrive by late afternoon. 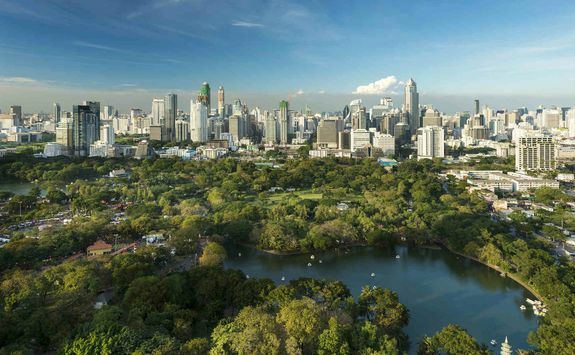 You'll be met at the station and transferred to your luxury hotel in the heart of Bangkok. 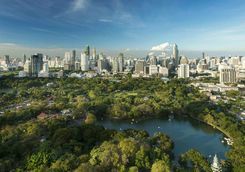 To guarantee you enjoy your first evening in Bangkok, we'll be booking you a table at one of the city' best restaurants. 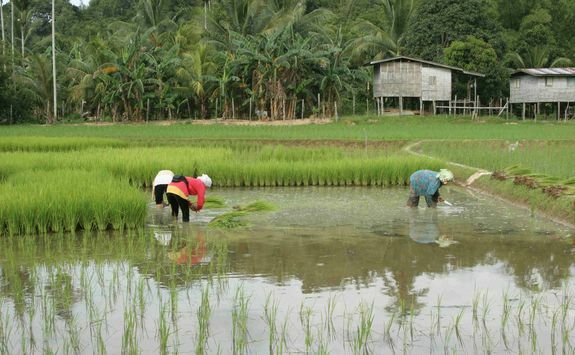 It could well be something like the tasting menu at the Michelin starred Bo.lan. 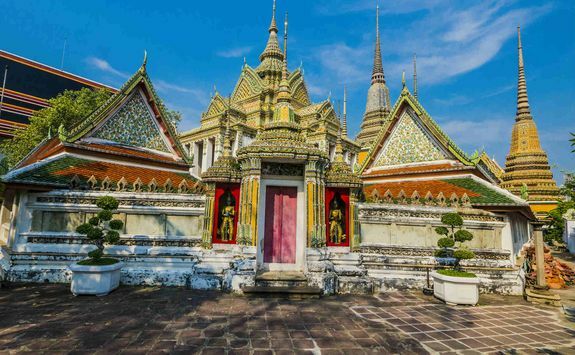 Start the day with an early morning walk through Lumpini Park before your private guided tour of the Thai capital starting with a ferry ride on the busy Chao Phraya River to the historical sites of Wat Pho and the Grand Palace. 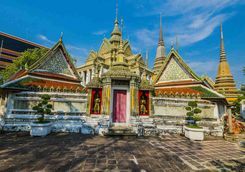 After you've had time to explore the Buddhist temple and absorb the grandeur of the residence of the Kings of Siam, you'll be ready for a fun tuk-tuk ride to Soi Ban Batra. 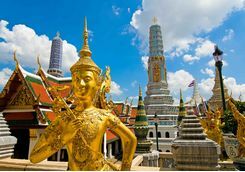 There you'll visit a workshop and see local craftsmen at work on the bowls used for collecting alms by the Buddhist monks who roam the streets of Bangkok. 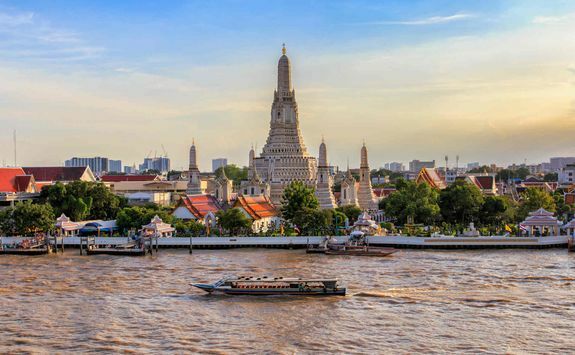 In the afternoon, you'll take a fascinating bus-boat tour around the waterways of Bangkok before visiting the Jim Thompson House. 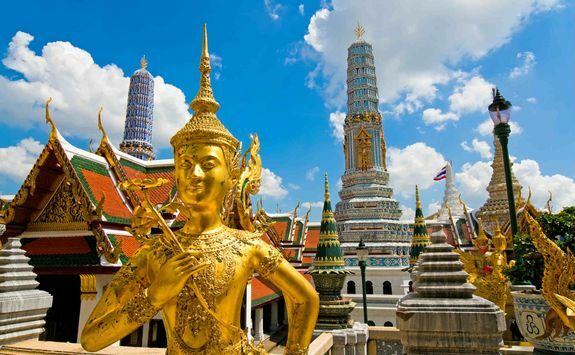 The museum, former home of the founder of the Thai Silk Company, houses the entrepreneur's extensive collection of sculptures, paintings and fine porcelain. After returning to your hotel on the Skytrain, you'll be able to enjoy an evening of rest and relaxation. 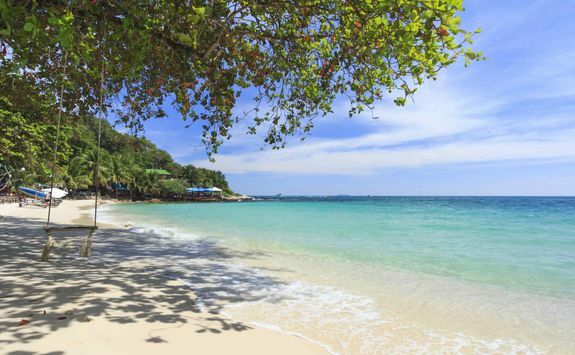 Enjoy a relaxed breakfast at your Bangkok hotel before it's time to make the transfer to the stunning Thai island of Koh Samet. 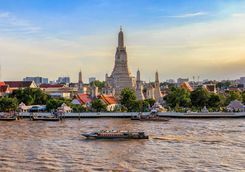 You'll be collected from the hotel by your private chauffeur for the two-hour journey to the port where you'll take the local ferry for the fifteen-minute crossing of the Gulf of Thailand. 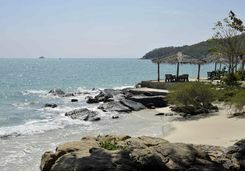 Once you've checked in to your beach hotel, you'll be free to make the most of this idyllic location. 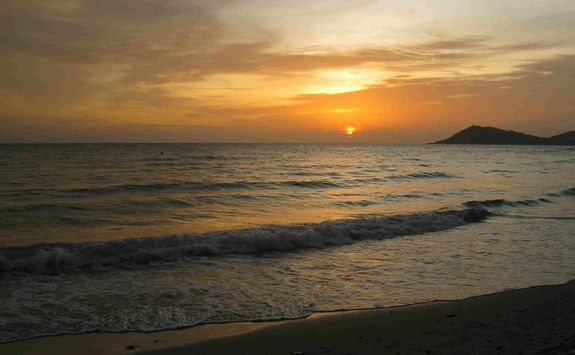 Sun yourself on the beach or head off to explore this amazing traffic-free island. 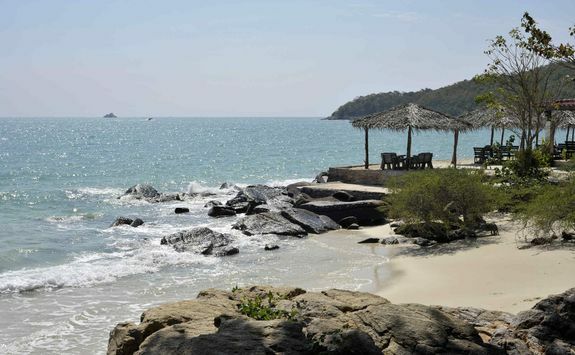 Enjoy three days of tranquillity on beautiful Koh Samet. 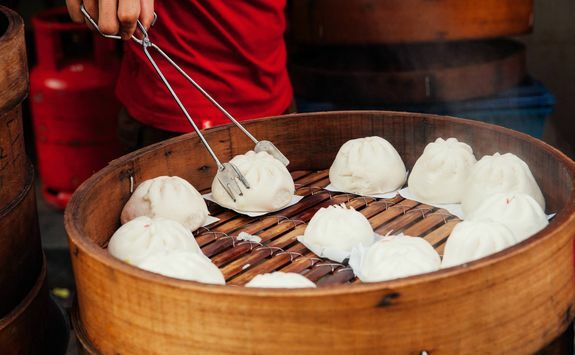 Relax, explore or eat yourself silly. 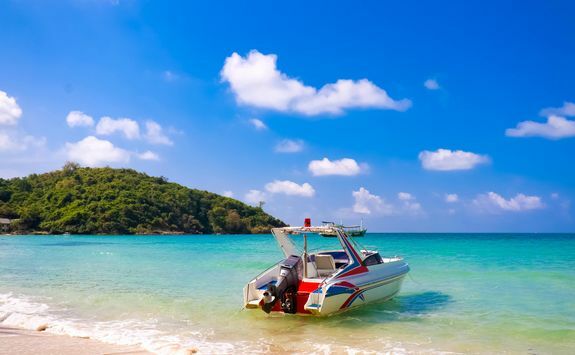 Time to head home, sadly, so after breakfast you'll catch the ferry from Koh Samet back to mainland Thailand where a private transfer will be waiting to take you the two-and-a-half-hours back to Bangkok Airport. Your direct flight back to London leaves late morning and takes just under 13 hours. You will arrive back in London in the early evening. 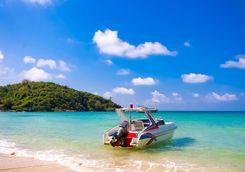 Miranda, Frances, Beki and Holly are our experts for this itinerary and as seasoned travellers they have the inside track on the most memorable adventures.